Welcome to A Sampling Bee! I am back with another awesome Degusta Box USA! 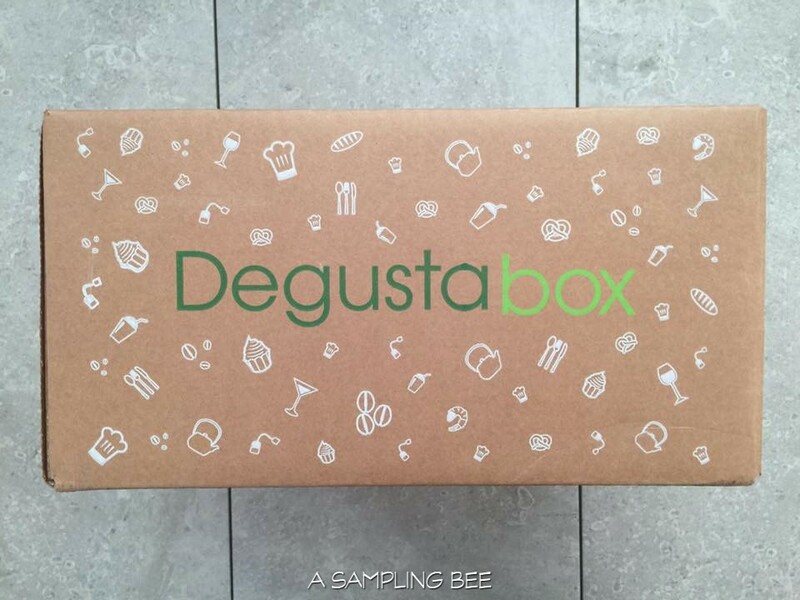 Degusta Box is a monthly subscription box that delivers 9-14 full sized surprise products right to your front door. All for much less than what you'd pay in store! All for only $19.99 a month! SunButter Sunflower Butter is smooth and creamy. It's safe for people who have peanut or tree nut allergies. 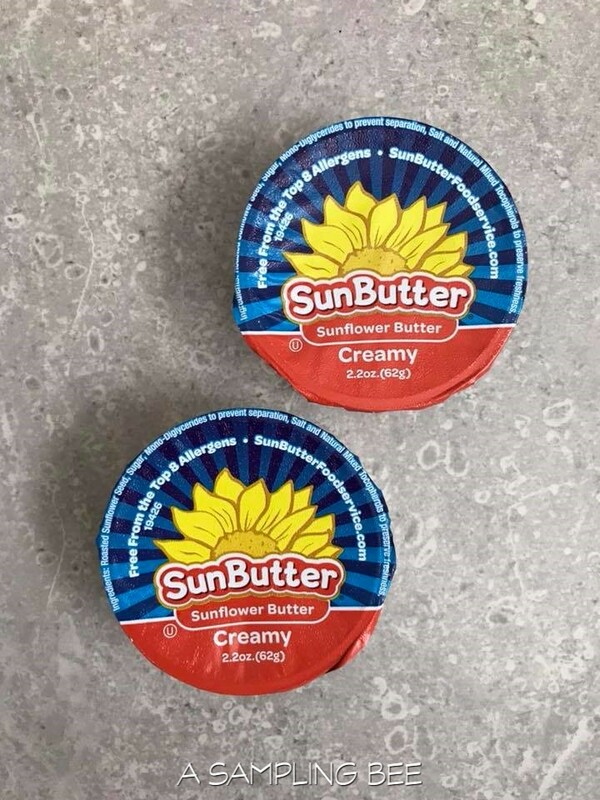 The sunflower butter has 7 grams of protein and has more vitamins and minerals that nut butter. $16.99 for 16oz. jar. Kernel Season's is America's #1 brand of popcorn seasoning. Flavor your popcorn with 15 different flavors of Kernel Seasons. 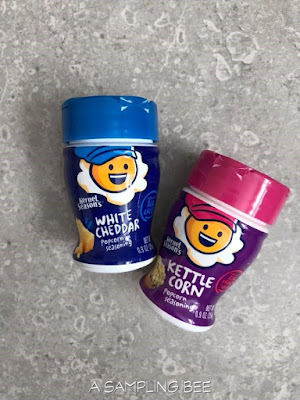 This popcorn seasoning is seen in movie theaters nationwide! $1.49 each. 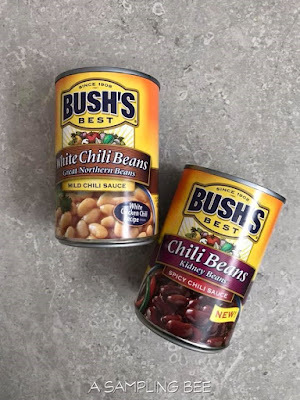 Bush's White Chili Beans are slow cooked until tender, then are simmered in a white bean chili sauce that seasoned with cumin, garlic and onion. $1.39 each. 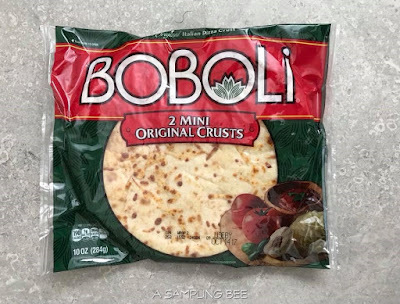 Boboli pre-made pizza crust allows you to make your own delicious pizza at home! Add your favorite toppings, bake and enjoy! $4.27 8-inch pizza. My favorites this month?? 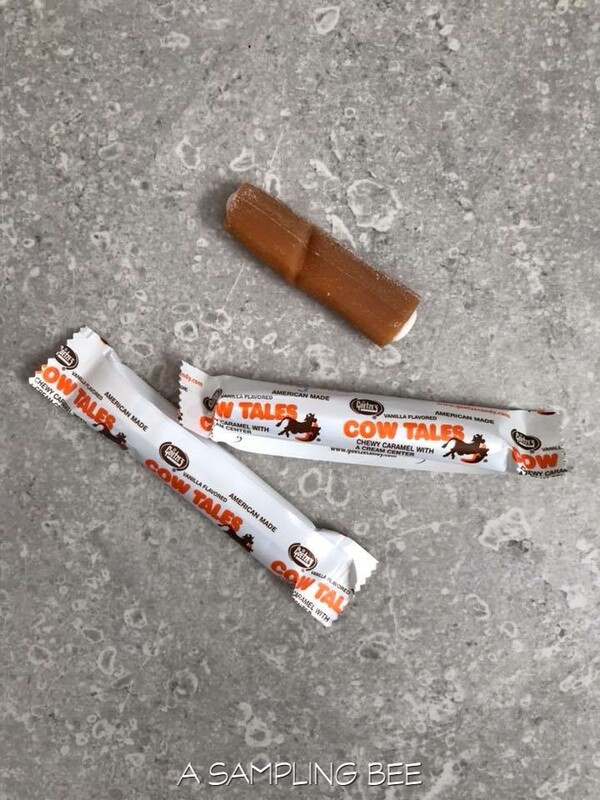 The Cow Tales, Hippeas, Sunbutter, Overnight Oats & Kernel Season's! Well, everything! I am going to make a big ole pot of chili once it gets a little colder. So, I am excited to try the white beans and kidney beans. 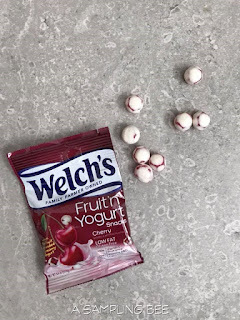 The Welch's Fruit'n Yogurt Snacks are loved by my kiddos. My oldest son loves them when I put them in his lunch. I love dipping pretzels into the Sunbutter. So good! Boboli Pizza Crusts make dinner so easy and they're a good size! 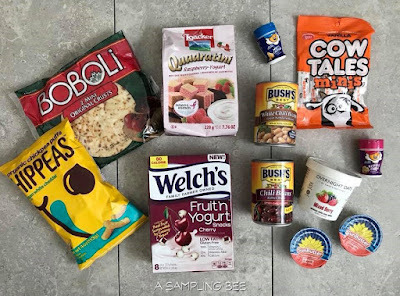 All-in-all, great products, great subscription box! Stay tuned for next month's box! 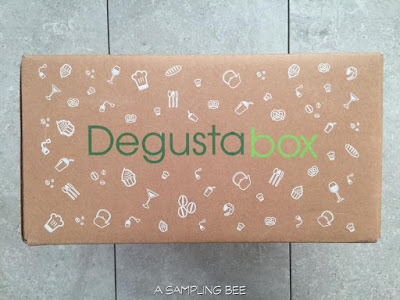 I received Degusta Box USA in exchange for my honest review. All opinions are my own. Always! Welcome to A Sampling Bee! It's almost Halloween! So, today, I am sharing with you a yummy recipe that you can make with your kiddos! Enjoy this Drizzled Popcorn on Halloween Night or at your Halloween party! 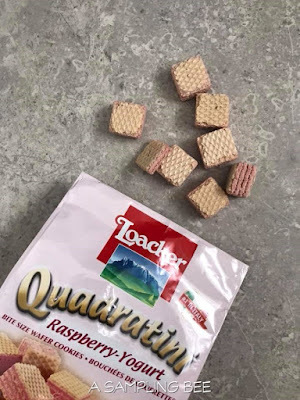 It's easy and delish! 1. Pop the popcorn and empty bag into a large bowl. Try to remove as many un-popped kernels as possible. 2. Open k-cup and empty the hot cocoa into the bowl of popcorn. Toss to coat popcorn. Empty coated popcorn onto a large cookie sheet that's covered with parchment paper and spread it out evenly. 3. Melt Milk Chocolate Chips by following the instructions on the package. When smooth, drizzled chocolate over the popcorn. Repeat with green melting chocolate. 4. Top drizzled popcorn with Halloween sprinkles, Reese's Pieces, candy eyeballs, candy corn, candy bones and marshmallows. Feel free to top your drizzled popcorn with any toppings. ** Brooklyn Bean Roastery's Hot Cocoas & Coffees are available on Amazon.com. Welcome to A Sampling Bee! Today, I share with you Veggie Tots & Veggie Rings from Farmwise! Veggie Tots & Veggie Rings are a frozen, delicious and nutritious snack. They are made from a blend of all natural beans, farm grown vegetables and potatoes. The ingredients are chopped and blended together with spices, herbs and a pinch of salt. A delicious snack or side dish that everyone can enjoy! Veggie Tots & Veggie Rings are non-GMO, gluten-free and Vegan. They are also free from the top 8 food allergens: soy, dairy, gluten, peanuts, tree nuts, wheat, egg & fish. Each 3 ounce serving contains 2 servings of vegetables. Broccoli & Sweet Potato Veggie Tots are loaded with veggies, vitamins A, C & K, and contain a good source of protein and fiber. 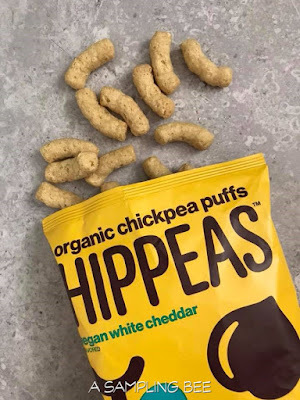 They are low in sodium and gluten-free. 2 servings of vegetables in every 12 tots. Cauliflower, White Bean & Onion Veggie Rings contain 4 grams of protein. They are a good source of fiber and 12 rings contain 2 servings of vegetables. Loaded with vitamin C.
My family loves the tots, rings and fries! Yes, we have had the fries, too! They're delicious, crunchy and full of flavor. I love how the tots and rings are crispy on the outside and soft on the inside. I cannot tell that there is veggies in them. Which is good, because I have two picky eaters at home. Both kiddos love them and prefer the tots over regular French fries. The tots and rings bake so perfectly. It's like they just came out of a fryer. No need to salt them because they already contain the perfect amount of salt. I love serving Veggie Tots & Fries as a side dish or as an after lunch snack! So yummy and best of all, healthy! Check out my review for Veggie Fries! Which would you like to try? The Tots or Rings? Visit the store locator to locate Veggie Tots, Fries & Rings near you! I received free product in exchange for my honest review. All opinions are my own, always! Welcome to A Sampling Bee! Today, I share with you Adagio Teas! Adagio Teas carries a wide blend of all kinds of different teas. White Teas, Oolong Teas, Black Teas, Green Teas, Flavored Teas, Seasonal Teas and much more. All of their teas come directly from growers, making them both fresh and affordable. These farm-fresh teas have superior flavors! All Tea comes from the Camellia sinensis plant. Tea processing involved 5 steps: Plucking, Withering (allowing the leaves to wilt and soften), Rolling (to shape the leaves and wring out the juices), Oxidizing (see below) and Firing (ie: Drying). The five basic styles of tea are White, Green, Oolong, Black and Pu Erh. Adagio Teas relieve depression and anxiety. Depression levels in people who drink tea is much lower than in those who do not drink tea. Tea provides relief from life's stresses all while giving you a health dose of mood-boosting antioxidants. White Strawberry White Tea- white tea, rooibos tea, apple pieces, hibiscus flowers, blueberries, natural strawberry flavor, strawberries, blue cornflowers, rose petals and natural vanilla flavor. Wild Strawberry Herbal Tea- hibiscus, rose hip, apple pieces, natural strawberry flavor, strawberries and raspberry leaves. Earl Grey Green Tea- green tea, orange peels, natural bergamot flavor and blue cornflower. Candy Apple Black Tea- black tea, apple pieces, natural caramel apple flavor and cinnamon bark. Top left to right: White Strawberry, Candy Apple. Bottom left to right: Earl Grey Green, Wild Strawberry. Each package of Adagio Teas is complete with an ingredient list and steeping instructions. Choose from their wide variety of awesome teas. I couldn't believe how many different kinds of teas! I really loved the teas that I got to try: Wild Strawberry Herbal Tea, White Strawberry White Tea, Earl Grey Green Tea and Candy Apple Black Tea. I really enjoy all 4 of these flavors. The Candy Apple flavor is perfect for the fall season. Tastes just like a candy apple that you'd get from a fair. Any kind of green tea is my favorite so I really enjoyed the Earl Grey Green. Both Strawberry teas are so so good! Both are amazing and taste totally different. 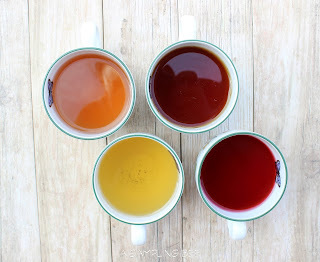 I drink at least 15 cups of tea a week and I really enjoyed the flavors of Adagio Teas. With my favorite tea company going out of business(Teavana), I know exactly where I am going to get my teas from now on... Adagio Teas! I received Adagio Teas in exchange for my honest review. All opinions are my own. Always! Welcome to A Sampling Bee! 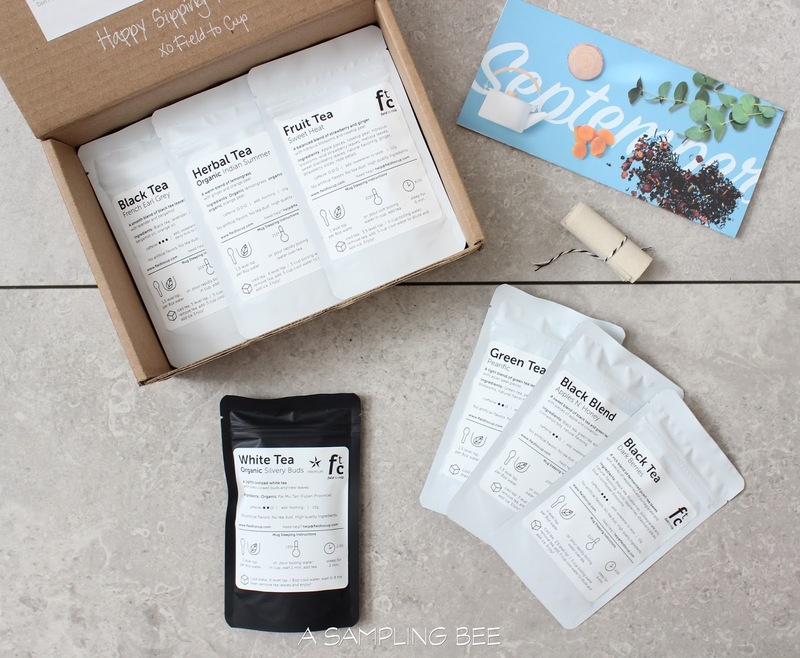 Today, I am sharing with you a lovely tea subscription box! Field To Cup is a unique monthly Tea Discovery service that does things differently. Field To Cup is unique because all of their teas are high quality and loose leaf. They test each of their teas using the International Method of Cupping. Which means that they brew their teas according to different tastes. That information is then recorded and put into the steeping guide that comes with your box each month. If you are unsatisfied with any of your teas, Field to Cup will send a replacement in next month's box. There are 5 different tea subscriptions you can choose from: Tea Explorer, Tea Discovery, Tea Discover Plus, Premium Tea Discovery and Wellness Herbal Discovery. Field To Cup's Subscription Boxes contain: Wellness Teas, Fruit Teas, Black Teas, Green Teas, Rooibos Teas, Festive Teas and Premium. On Field To Cup's website, shop customer favorites, accessories, tea gifts and past subscription boxes. First access to new products! I am a huge tea lover and I was so excited when I found Field To Cup. The quality of their teas is amazing! They're flavorful and steep so nicely. Field To Cup really puts their heart and souls not only into their teas, but into making sure that their subscribers are satisfied. For the price each month, this box is loaded with a good variety of teas. I love how the box comes with a steeping guide and tea sachets. It's awesome how many different kinds of teas came in September's box. I was able to enjoy a different tea each day. I highly recommend Field To Cup! 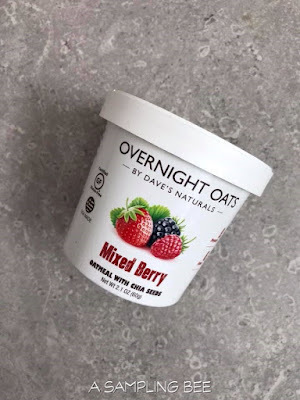 I got to try their Discovery Box Plus! I received Field To Cup Subscription Box in exchange for my honest review. All opinions are my own. Always!